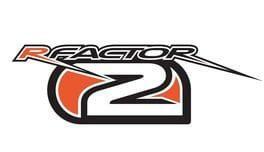 rFactor 2 is a realistic, easily extendable racing simulation that offers the latest in vehicle and race customization, great graphics, outstanding multiplayer and the height of racing realism. It features mixed class road racing with ultra realistic dynamics, an immersive sound environment and stunning graphics. You can race against both AI and other drivers in multi-player mode. rFactor 2 is available from 23.65 to 29.99 from 1 shops.